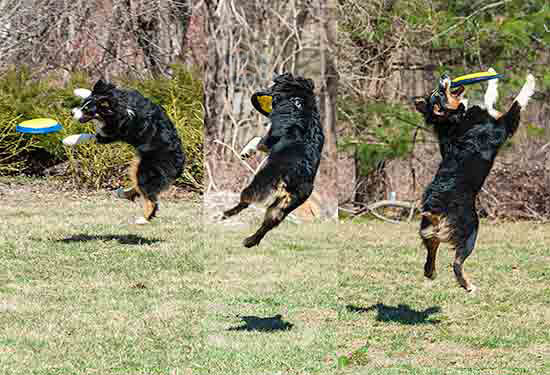 I love my discs — to chase and chew and, at least half the time, catch in mid air. I’ve destroyed a couple discs already. The fabric versions have a longer life for me as they are less satisfying to chew. There’s a lot to know if your dog — like me — is serious about this sport. 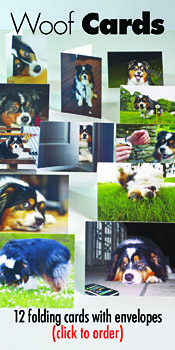 You should check with your vet, keep your dog supplied with water and not wear your pup out. When it stops being fun for either of you, it’s time to stop. 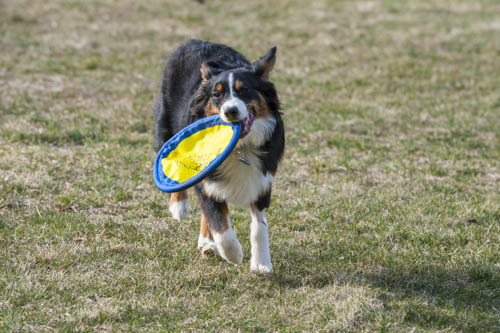 The Indy Dog & Disc Club has created a great Frisbee Dog Basic Training Guide, that’s full of good info. Check it out and keep it airborne!